Chelsea £44m deal for Edin Dzeko and Emerson Palmieri accepted. Chelsea £44m for Edin Dzeko and Emerson Palmieri have been accepted by Roma and are hoping to sign them before the January transfer window closes next week. While talks with the players are ongoing, it appears negotiation with Palmieri will be straightforward, but Dzeko who have spent about five years playing for Manchester City will still need more convincing from Chelsea. 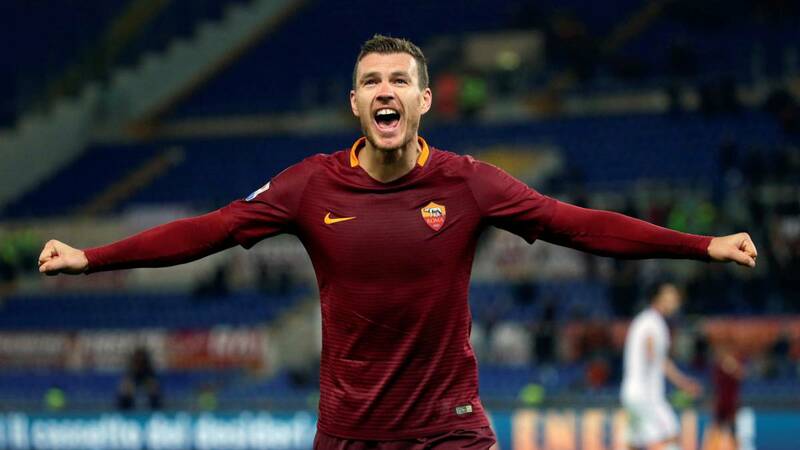 It is against Chelsea policy to sign a 31-year-old player – much they could do is to offer a year extension to registered players on the book who are over 30 years of age – but with interest in Dzeko, they are willing to break the rules to secure the 19-goal attacker’s signature. Roma’s club director Monchi confirmed that Dzeko is yet to agree to personal terms with Chelsea. Chelsea have been in search of a prolific striker to free the workload on Alvaro Morata. The current Champions recently inquire for Andy Caroll only for the striker to fracture his ankle. Antonio Conte has for long been an admirer of Dzeko’s abilities after scoring twice against Chelsea this season as Roma drew 3-3 in the Champions League game. Dzeko has won A’s Golden Boot this season and has scored 9 goals in 19 games this campaign. 23-year-old Palmeira who is a natural left-back joined Roma initially on loan in 2015, he has also been a target for Italian powerhouse Juventus. Chelsea are willing to offer Michy Batshuayi on loan as part of the deal but Roma are still on the lookout for other possibilities to replace Dzeko should he decide to leave.